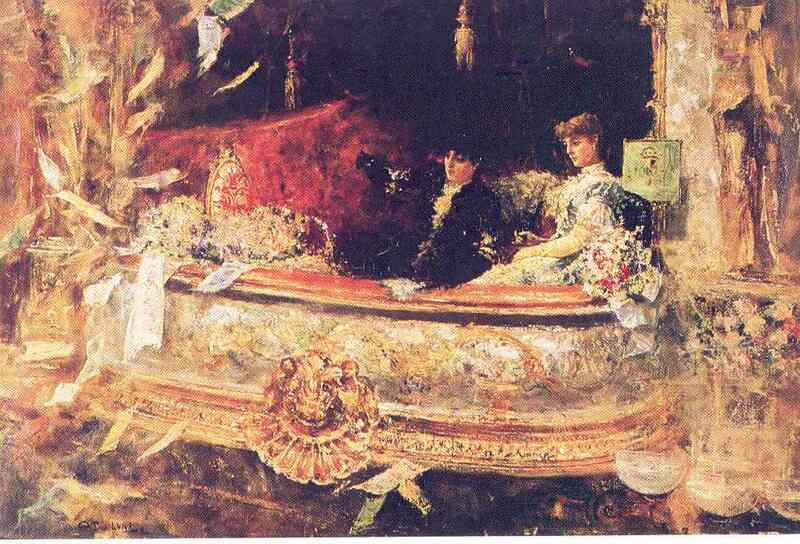 The following are some of the finest paintings of Juan Luna y Novicio (October 23, 1857 — December 7, 1899). He was a Filipino painter, sculptor and a political activist of the Philippine Revolution during the late 19th century. He was one of the first recognized Philippine artists. Please click on the picture to view the large copy. 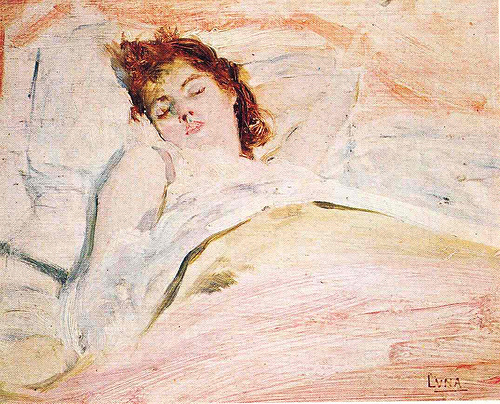 Una Chula II, 1885. 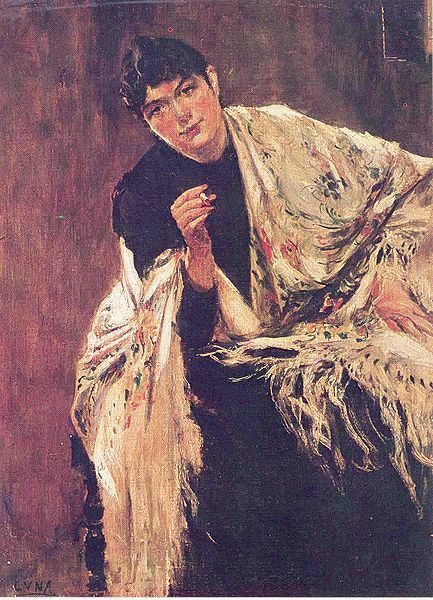 Una Chula II is a 1885 painting portraying a lower class Madrileña (woman from Madrid) sitting squarely with arms resting on a chair, a pose that “almost mannishly exuding sexual confidence and worldliness, holding a lit cigarette between two fingers in a flirtatious way. The burning tip of the cigarette acts as an enhancement to the female’s “painted lips” that supports a “slight smile”. The Parisian Life, 1892. The Parisian Life, also known as Interior d'un Cafe, literally meaning "Inside a Café", is a 1892 oil on canvas painting. It portrayed a scene inside a café in Paris with a woman identified as a courtesan or a prostitute representing "fallen womanhood", who was about to rise from a sofa overshadowing three men placed at the far left corner of the painting. 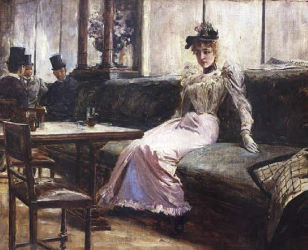 Apart from the prominent figure of the female wearing a pale lavender frock and a hat embellished with flowers, fronted by two glasses of beers and an empty beer mug belying a "company of men", The Parisian Life portrayed a glimpse of Luna's own life in the capital of France while accompanied by two close friends. La Bulaquena, 1895. Literally "the woman from Bulacan". The woman in the portrait could be one of the women courted by Luna when he lost his wife. Luna killed his wife of jealousy. 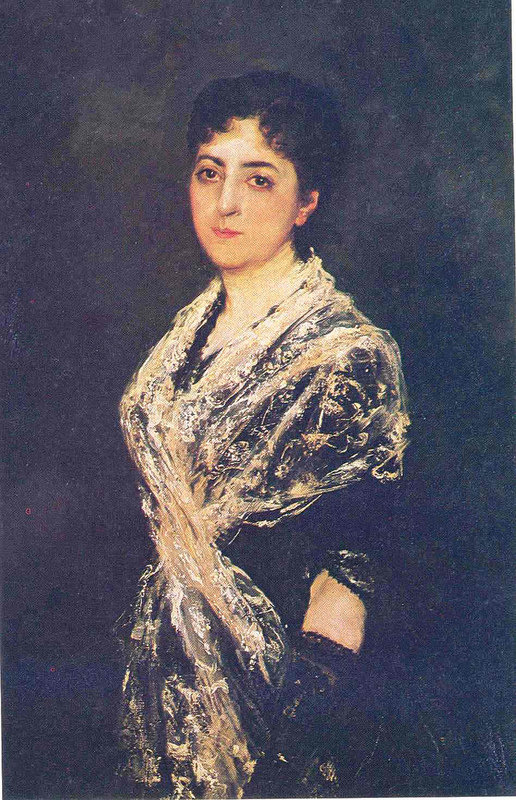 La Marquesa de Monte Olivar, 1881. A portrait of the young Marchioness of Monte Olivar. Governor Ramon Blanco, 1880's. 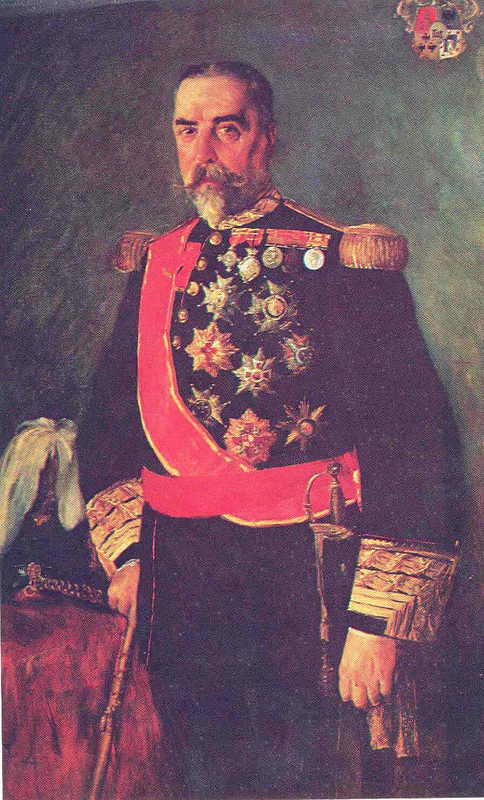 Portrait of Governor Ramon Blanco, Spanish Governor-general of the Philippines from 1893 to 1896. Souvenir de 1899, 1899. 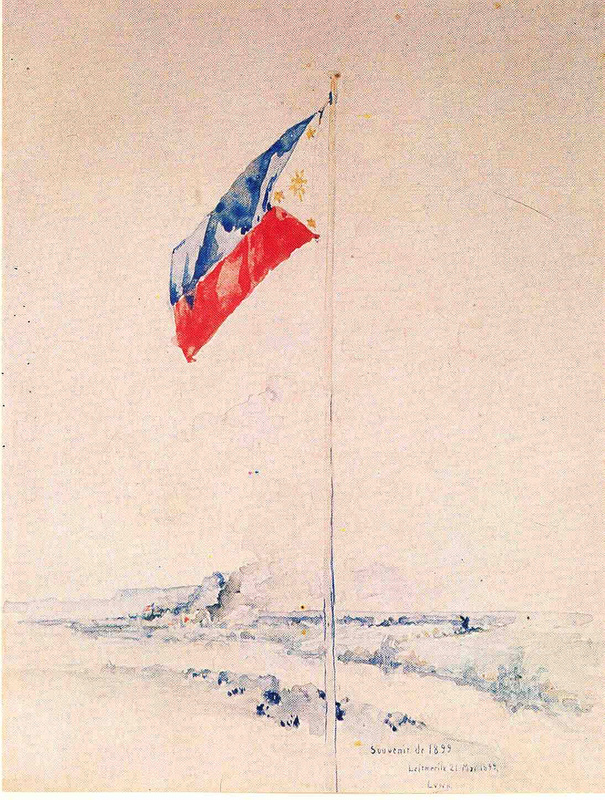 Souvenir de 1899, was completed by Luna on May 21, 1899, in Leitmeritz, Bohemia, after his meeting with Rizal’s bosom friend, Dr. Ferdinand Blumentritt. Odalisque, 1885. The Odalisque one of Luna's "Academic Salon portraits" that followed the standards of proper proportion and perspective, and realistic depictions with “an air of dignity and allure”. 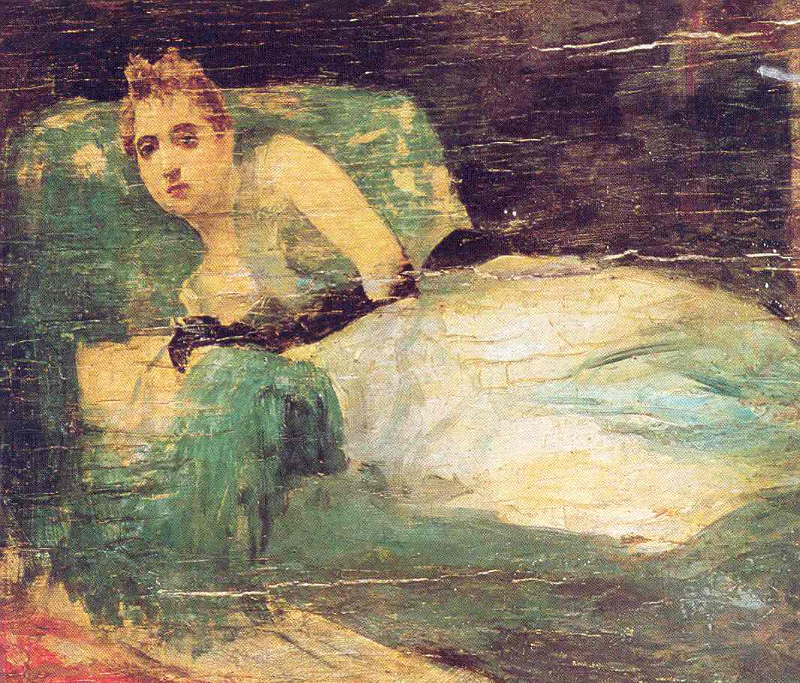 Although less polished compared to Luna’s other works of art, the Odalisque is typical of the well-planned characteristic of the artist’s portraits. The Odalisque is one of the paintings that made Luna as an officially accepted artist at the Salon of Paris. The Odalisque was a part of the painting collection of Philippine national hero Jose Rizal. 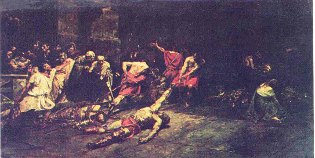 Spoliarium, 1884. Spoliarium depicts bloody carcasses of slave gladiators being dragged away from the arena where they had entertained their Roman masters, with their lives. 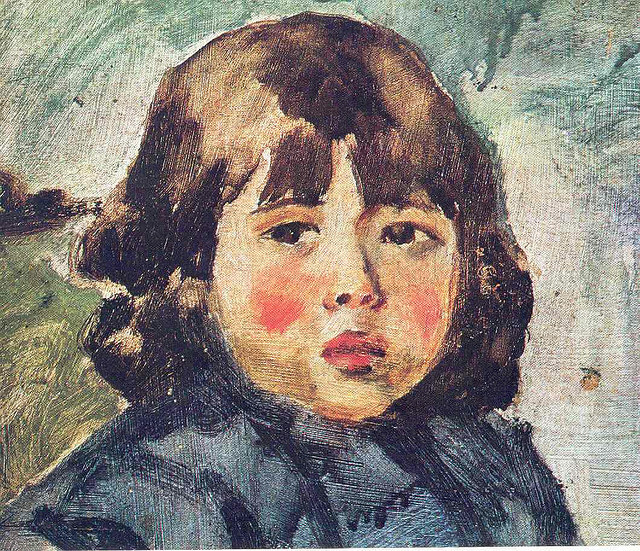 The painting was submitted by Luna to the Exposición Nacional de Bellas Artes in 1884 in Madrid, where it garnered the first gold medal. In 1886, it was sold to the Diputación Provincial de Barcelona for 20,000 pesetas. It currently hangs in the main gallery at the ground floor of the National Museum of the Philippines, and is the first work of art that greets visitors upon entry into the museum. Ensueños de Amor, 1890. Literally "Daydreams of Love", is a "dreamy" oil on wood painting. It depicts Luna's wife Maria de la Paz Pardo de Tavera while sound asleep. Mi Hijo Andres. 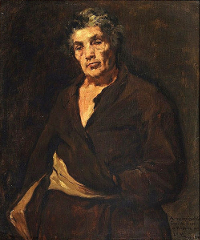 Portrait of Andres, Juan Luna's son. El Pacto de Sangre (The Blood Compact), 1886. 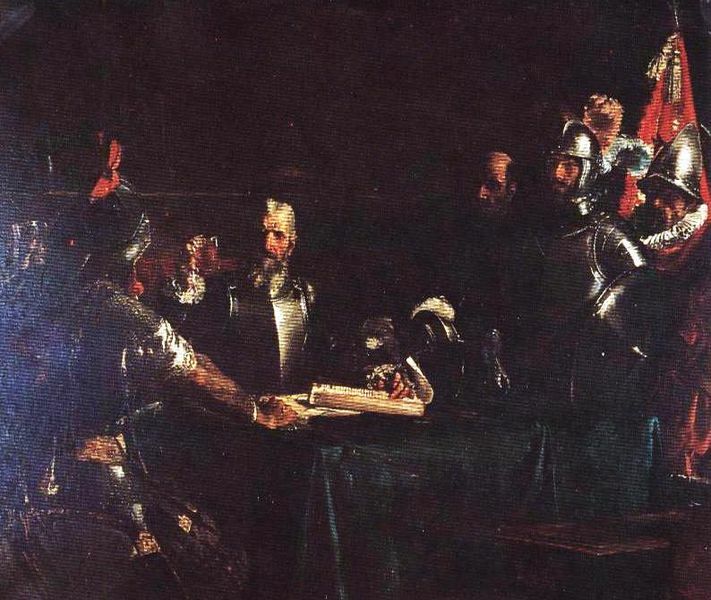 The Blood Compact portrays the blood compact ritual between Rajah Sikatuna and Miguel Lopez de Legazpi who is accompanied by other conquistadors. Tampuhan, 1895. 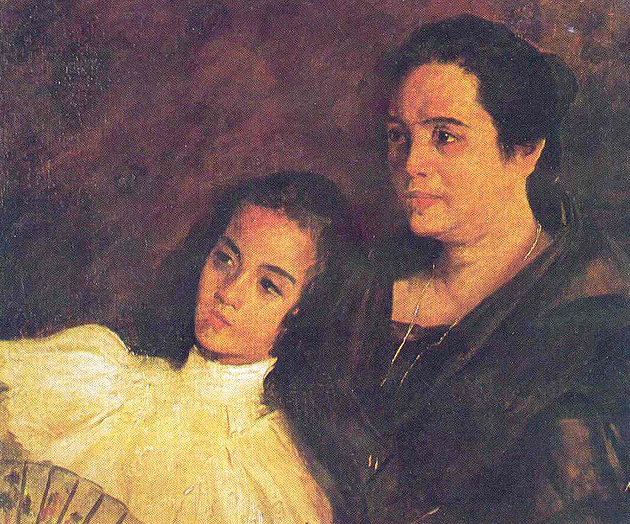 Tampuhan is a 1895 classic oil on canvas painting. It depicts a Filipino man and a Filipino woman having a lovers' quarrel. 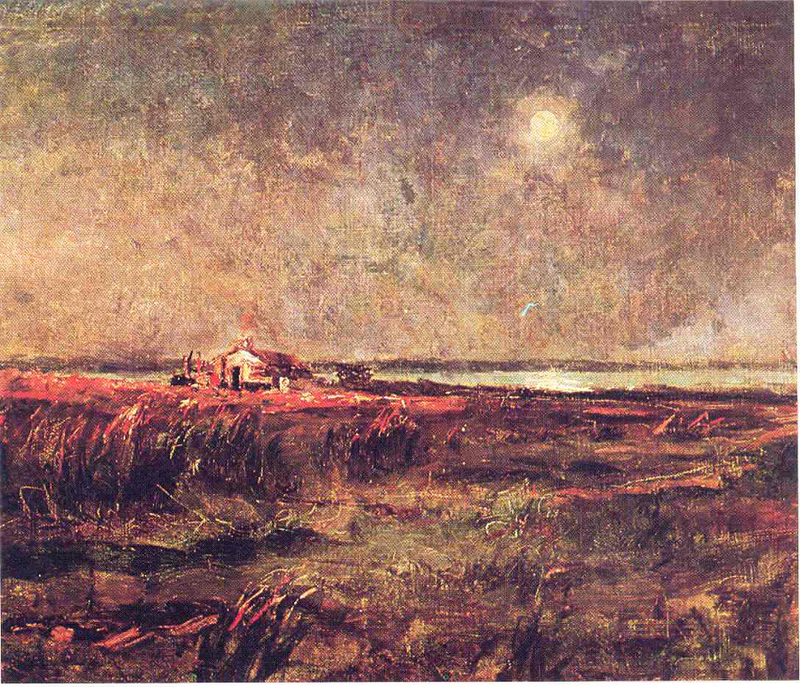 Puesta Del Sol, 1880's. Puesta Del Sol (Sunset) is a scene presumably somewhere in the north coast of France, which Luna often visited. Nu femeni, 1885. 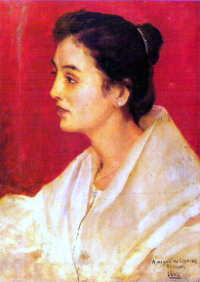 Nu femeni is an oil on canvas painting by Juan Luna. Idilio. 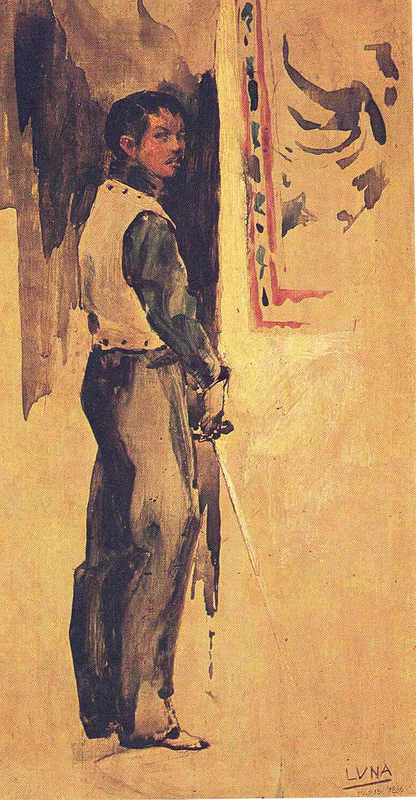 Idilio by Juan Luna. 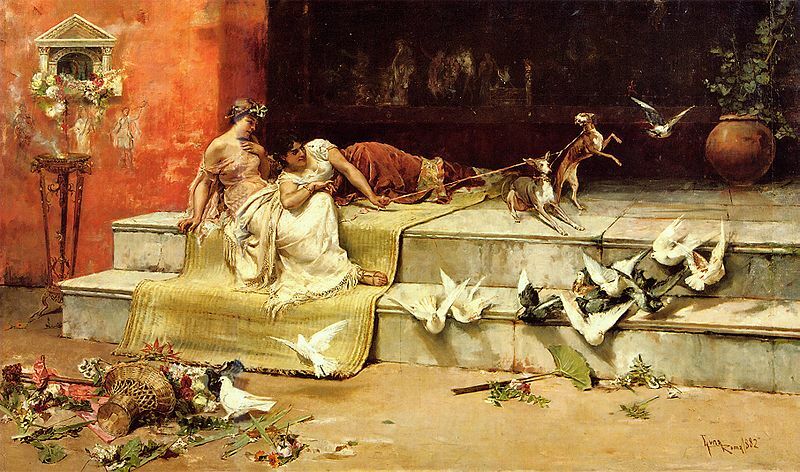 Damas Romanas, 1882. Damas Romanas or "The Roman Dames" is an oil on canvas painting by Luna when he was a student of the school of painting in the Real Academia de Bellas Artes de San Fernando (Royal Academy of Fine Arts of San Fernando) in Madrid, Spain in 1877. Alejo Valera, a Spanish painting teacher, took Luna as an apprentice and brought him to Rome where Luna created Las Damas Romanas in 1882. Luna spent six years in Rome from 1878 to 1884. 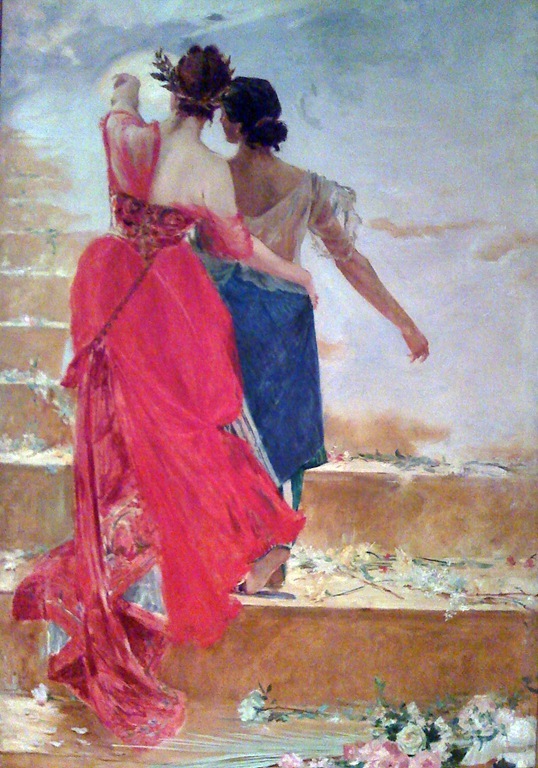 Espana y Filipinas, 1886. Espana y Filipinas is oil on wood painting, it is an allegorical depiction of two women together, one a representation of Spain and the other of the Philippines. En el Balcon, 1884. The subject, a box at the opera, possibly in Madrid. 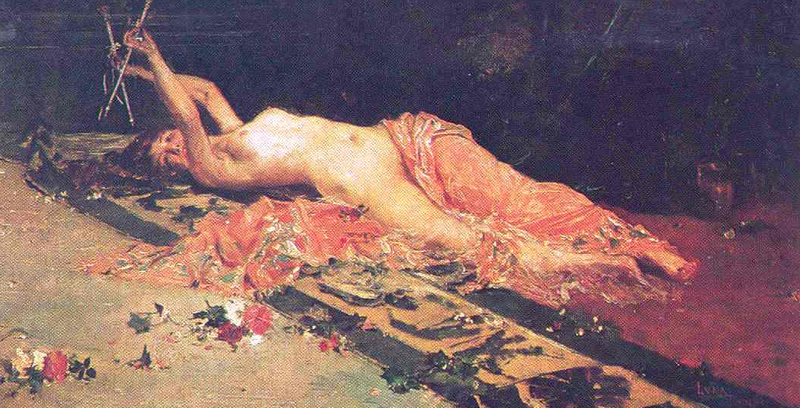 La Muerte de Cleopatra, 1881. 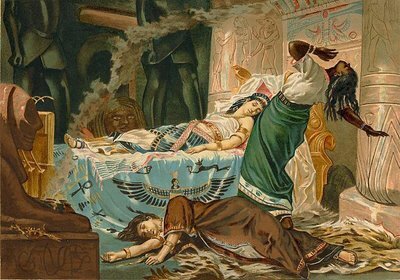 La Muerte de Cleopatra (The Death of Cleopatra) was awarded silver medal by Exposición Nacional de Bellas Artes (National Exposition of Fine Arts) in Madrid in 1881. Mi Hermana. Portrait of Luna's sister, Numenaria. Esopo. 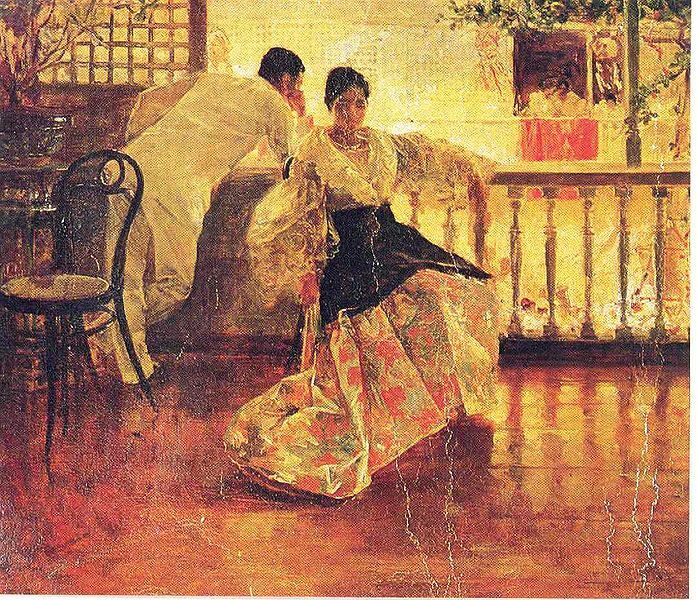 A painting by Juan Luna. 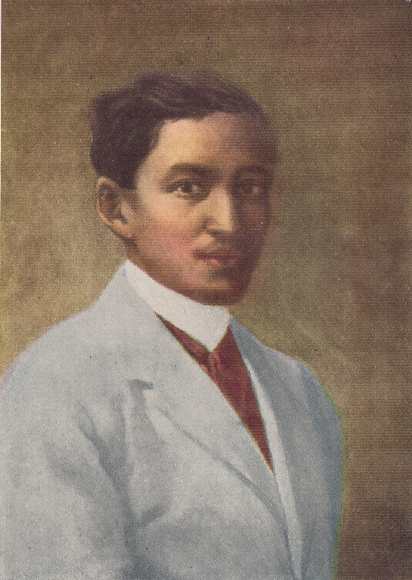 Portrait of Jose Rizal. Painted in oil, in Paris. The Battle of Lepanto, painted by Luna in 1887. 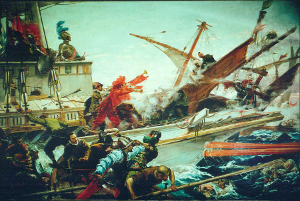 Features Don Juan of Austria in battle in 1571 while at the bow of a ship..